Set in a dystopian future, we follow the story of Davy, a thief who steals water all over South California, a fiery hellscape where water is worth more than gold. Governor Vendicatore pretends that he is helping his brainwashed, dying people and allows Davy to ravage the country, so he can trap the thief and easily take the water all for himself. Davy thinks his identity is safe, and his water secured. But will he awaken to the plot to capture him and his life of lies before it’s too late? Free on Kindle. 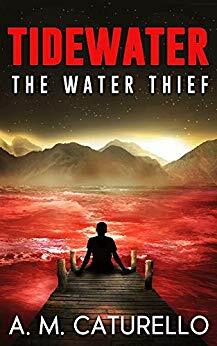 "The Water Thief" was first posted on freebookpromotions.com on April 06th, 2019. Each day we feature new free and discounted Kindle books in the Science Fiction & Fantasy genre as well as all other genres.